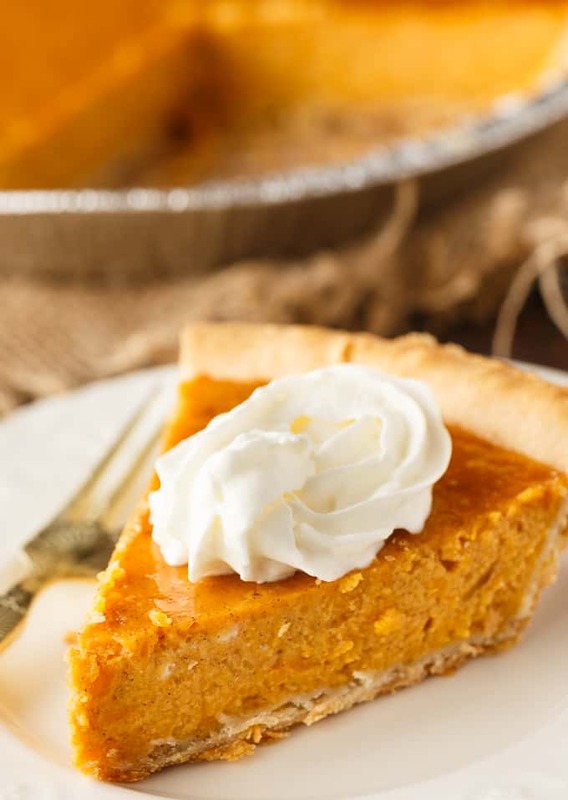 If you love Pumpkin Pie, you are going to love Sweet Potato Pie! It tastes almost the same with a similar texture. I know some of you are looking for Thanksgiving desserts, so here you go. 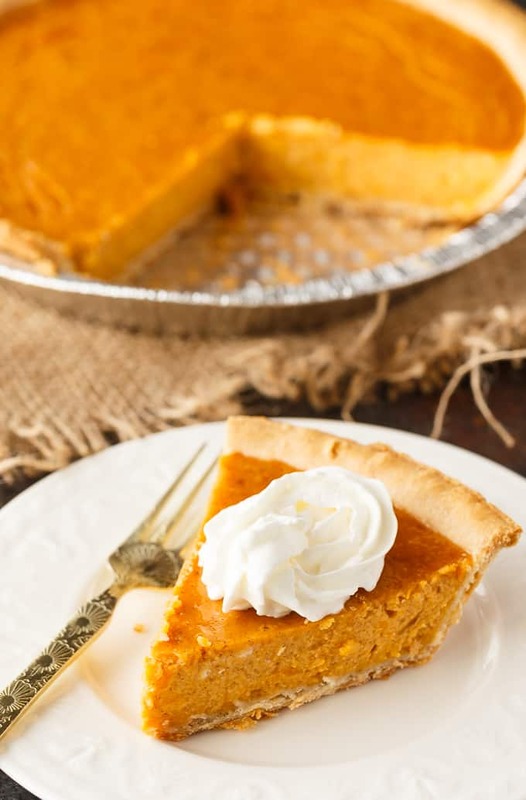 Sweet Potato Pie is the perfect addition to your Thanksgiving dinner table. I’m a fan of sweet potatoes and typically eat them in savoury recipes. Sweet potato fries? Yes, please! A friend suggested that I make her recipe for Sweet Potato Pie and I said I’d give it a try. I was curious to see how it compared to my all-time fave, Pumpkin Pie. We all loved it. I didn’t even tell my daughters that it wasn’t Pumpkin Pie. They probably wouldn’t have eaten it had they known. I added some ice cream on top and served them a plate. The pie was devoured in a matter of a day. This recipe makes two 9-inch pies. 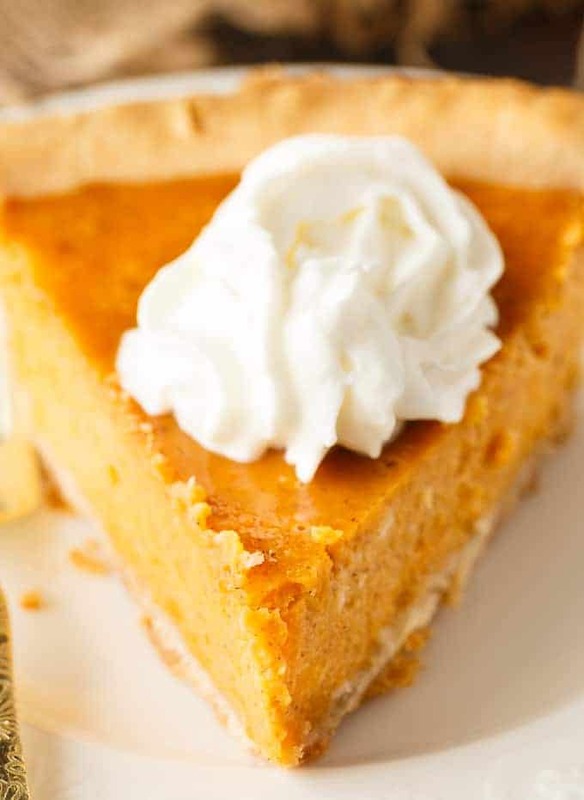 Add the eggs, cooked mashed sweet potatoes, sugar, salt, pumpkin pie spice and evaporated milk to a large bowl. 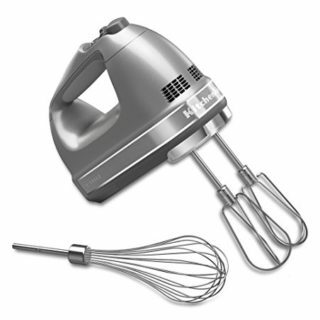 Beat together with an electric mixer on low until combined. Pour into two pie shells. Bake at 425F for 15 minutes. Turn the heat down to 350F and bake for another 45 minutes. Cool before serving. 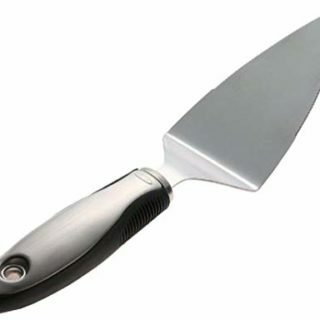 Top it with whipped cream or vanilla ice cream. It’s an amazing way to end a meal. My oldest daughter will be coming back for Thanksgiving this year. She’s away at university in Southern Ontario. I plan on making this Sweet Potato Pie recipe again for her since I know how much she likes it. For more sweet potato recipes, check out my Sweet Potato Casserole, Twice Baked Sweet Potatoes and Sweet Potato & Five-Spice Muffins. 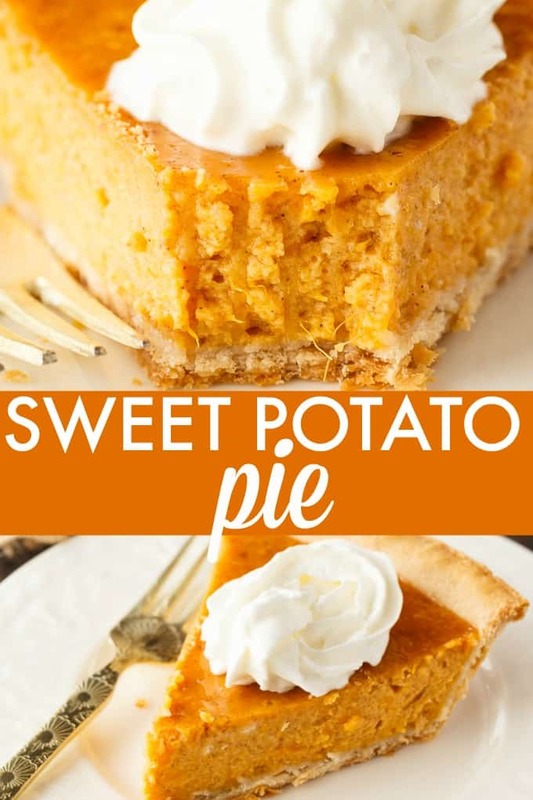 Have you tried Sweet Potato Pie? Creamy and sweet! Try as an alternative to the more traditional pumpkin pie. Preheat oven to 425F. 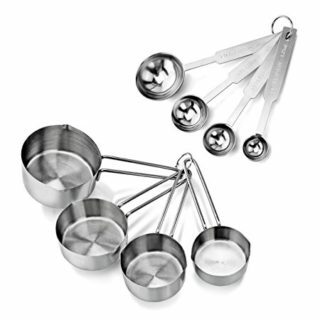 Beat together eggs, sweet potatoes, sugar, salt, pumpkin pie spice and evaporated milk with an electric mixer on low until combined. Pour into pie shells. Bake for 15 minutes. Reduce heat to 350F and bake for another 45 minutes. Cool before serving. Are you talking about the recipe card or the entire blog post? What browser are you using? 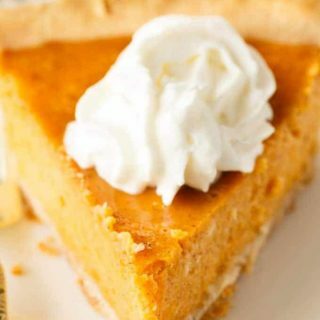 This looks so delicious!I love sweet potato pie! Can’t waigt to give this a try! Stacie, yes, I’ve made many a sweet potato pie. Love it. And yours look so good, I want to reach into the photos and grab a slice. 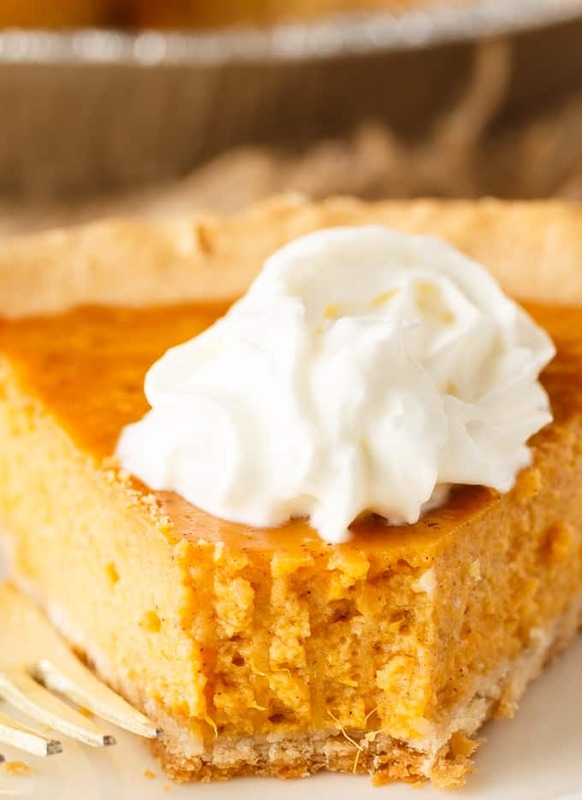 We love Sweet Potato Pie and your recipe looks delicious! Thanks so much for sharing with Full Plate Thursday and have a great week!